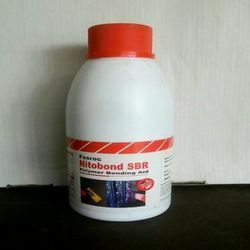 Leading Wholesale Trader of nitobond ar standard bonding agent, nitobond ep bonding agents, nitobond ar (20l) cementitious repair, nitobond ep standard concrete repair material and nitoband sbr from Nagpur. Uses For improving and bonding floor toppings, mortars and renders As a bonding agent for Renderoc and other cementitious mortars Polymer modified mortars and screeds for reinstatement of worn out/damaged concrete Polymer modified concrete for improving the impermeability and there by enhancing the waterproofing property Advantages Good adhesion - Provides good bond to concrete, masonry, stone work, plaster and block work. Increased strength - Improves tensile and flexural properties of mortar. Versatile - Compatible with all common hydraulic cements User friendly - application by brush/spray Improves cohesion - No bleeding and segregation. 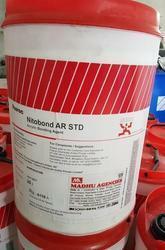 Solvent free - can be used in enclosed locations. 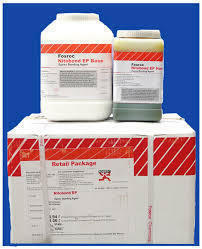 Uses Recommended primer for Fosroc cementitious repair system. For improving and bonding floor toppings, renders and mortars; repair of worn, damaged or spalled concrete; polymer modified floor screeds. Advantages Simply brush onto concrete as a primer. Single component, gauged as required. High adhesion -Provides excellent bond to concrete, masonry, stone work plaster and block board. Increased strength - Improves tensile and flexural properties of mortar. Allows thin section applications. Versatile - Compatible with all common hydraulic cements Economical - Economical to use. Uses Bonding old and new cementitious substrates. 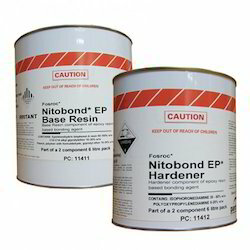 Advantages  Can be applied on concrete & mortar substrate  Facilitates improvement in mechanical strength  Good positive adhesion Description Nitobond EP Std is a two component epoxy bonding agent supplied in pre-weighed quantities for ready on-site mixing and use. Technical Support The company provides a technical advisory source supported by a team of specialists in the field. Properties Pot life Min. 120 minutes @ 350 C Full hardness 24 hrs. Full Cure 7 days Overlay time Upto 3 hrs. Compressive Strength 40 N/mm2 BS 6319 Part 2 Tensile Strength 15 N/mm2 BS6319 Part 7 Flexural Strength 25 N/mm2 BS 6319 Part3 Bond strength ASTM C881 11N/mm2 Below 200 C, above mentioned times will increase. Packaging Size Packing Available In 5 lt./20 lt. Uses For modifying and improving bonding of floor toppings, renderings and mortars; repair of worn, damaged and spalled concrete, repair of large cracks; polymer modified floor screeds; waterproof plasters for masonary and slurries. Advantages  Simple to use - Single component, gauged as required.  High - Provides excellent bond to concrete, adhesion plaster, masonry, stone work, etc.  Improves -Gives weather resistant mortar with improved durability impermeability to chlorides and other harmful agents.  Reduces - Provides waterproof screeds, plasters and Permeability slurries.  Increases - Improved tensile and flexural properties strength allow thin applications.  Versatile - Compatible with all common hydraulic cements. 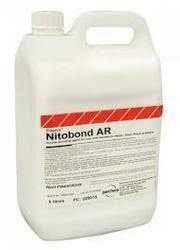  Cost effective - Nitobond SBR (Latex) is economical to use. Looking for Cunstruction Adhesive ?